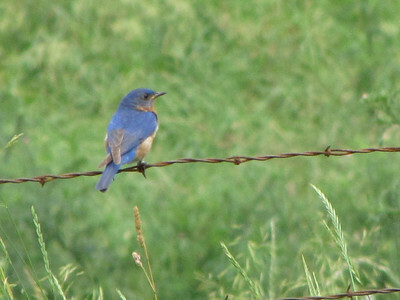 One of our goals on the farm is to encourage bluebird population. Here is one of several pairs. Unfortunately, none of the broods seemed to survive this year. Raccoons destroyed one nesting, and some sparrows another. Purchase of a pellet gun seemed to make all the sparrows disappear.